Are you a corner or center? I’m not asking where you line-up in football formation. This is an all-important question about brownies. Last night a friend brought a wonderful batch of brownies to dinner and I took a corner piece and she look incredulous and said “you actually like the corner?” She said she preferred the center of the brownie pan, to which I say NAY! The center is always to rich and gooey for me, much the reason why I don’t like fudge. It’s just too much of everything. I do like fudgey brownies with a bit of crunch on the top and on the edges. It’s the best of both worlds. 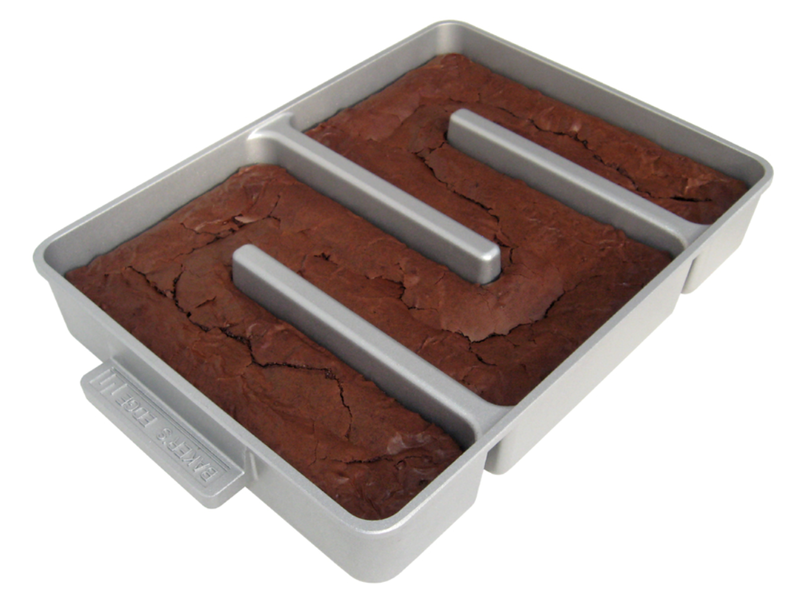 There’s also the Brownie Corner Pan, something that is sheer brilliance! I hadn’t realized that there were people who disliked the crunchy/chewy sensation of a good corner of the brownie pan, but they are out there. So as always, I say we can all get along and this just leaves more for me! 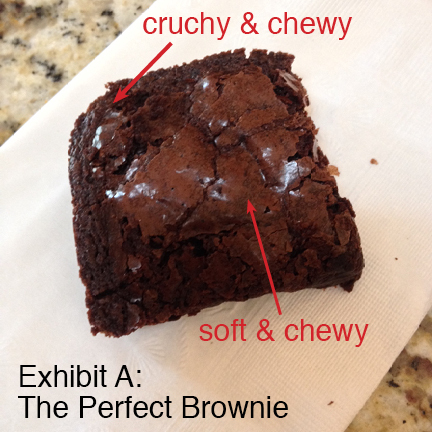 Posted in baking, crunchy, food opinions and tagged Baking brownie corners, Brownie Corners. Bookmark the permalink. that corner brownie pan IS sheer brilliance! I need to get one!